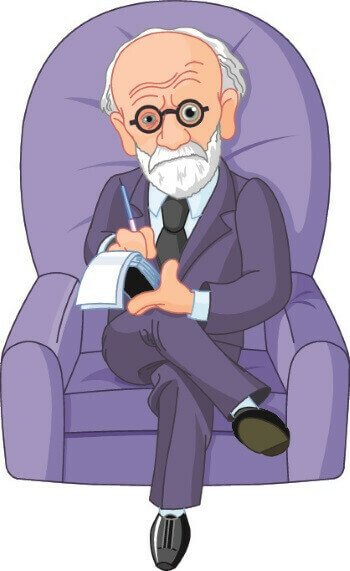 What Can Freud Teach Us About Email Marketing? What it is that makes someone decide to buy from you? We look into what Freud can teach us about email marketing. Home/What Can Freud Teach Us About Email Marketing? There are many resources out there that can help teach us about email marketing. It may come as a surprise that some of Freud’s theories can do just that. But when you reduce things to their basic essence, email marketing experts are always trying to understand what motivates human beings to make a purchase or engage with an online seller. What makes humans desire something enough to make the effort to click on your marketing information and hand over their payment details? How can marketers exploit our deepest instincts to maximise their click-through rate? These are difficult questions, and there’s no shortage of marketing gurus offering their unique answers. However, when you rely on conversions to keep your business alive, why not go straight to the founder of psychoanalysis himself, Sigmund Freud? So, What Can Freud Teach Us About Email Marketing? No-one is better qualified to tell us how to appeal to humanity’s deepest desires. Freud made a living out of convincing patients that what they thought they felt was actually an illusion. Instead of making rational decisions, Freud found that people were actually manipulated by their subconscious. The conflict between the modern brain and the ancient subconscious results in constant anxiety. By offering products that help to ease this anxiety, marketers can easily win the attention of stressed-out consumers. Freud saw the world where people were confronted with more choice than ever, but didn’t have the emotional ability to make a sensible decision. Instead of embracing freedom, he noted that patients would flee from it, seeking refuge in anything from drugs or alcohol to religion. In this instance, what does Freud teach us about email marketing? You shouldn’t offer open-ended, general options for customers and don’t just link to long catalogues full of products. Channel the attention of readers on specific deals and try to tailor them to their personal needs. Freud was also concerned with how the creativity and imagination of childhood were strangled, resulting in what he saw as armies of bland, anxious adults. In fact, he saw children as more intelligent and emotionally balanced than adults, who had become strung-out by education and work. In this case, Freud can teach us about email marketing and how we approach it. Marketers need to think like children, not adults. Sure, there’s a need to plan, budget and brainstorm, but at the core of every successful email marketing campaign is a child-like passion for your products and a playful touch. Freud is probably best known for his pioneering use of psychoanalysis to treat patients. His aim was to give patients a chance to talk through their issues thus allowing them to find their own route to a cure. Instead of forcing drugs or other treatments upon them, Freud would lead his patients to find an answer. There’s a parallel between psycho-analysis and marketing analysis. When email marketers are running campaigns or after they have finished, it’s vital to analyse their successes and failures. Ask the right questions, but don’t be tempted to manipulate the data produced by marketing software from firms like Flowbird. Let the data speak for itself and don’t force your ego onto it. Was Freud the godfather of email marketing? His insights make a good resource to teach us about email marketing. If you want to put his ideas into practice, check out the CRM and marketing automation software on offer from Flowbird, and ease your own marketing anxieties in the process. Need to automate your marketing? Marketing these days can be difficult. However automating your marketing can put you ahead of the game. It takes a little bit of work to get things set-up but once in place it will continue 'talking' to your prospects until they are ready to talk to you.